Your eyes are usually the first things that people notice about your appearance. They are probably the most important aspect of facial attractiveness. Even with a good night’s sleep, you can look tired, sad or older than you are with loose skin over the eyes or even fat bags under the eyes. As we go through life, even if we have taken care of ourselves, the skin around our eyes stretches and wrinkles. Fatty deposits cause the upper lids to sag while under the eye the tissue can bulge forward and become discolored. In severe cases, vision can become partially blocked. Typically, these unwanted characteristics come with age, beginning in the late 30s and early 40s, but hereditary factors can cause a much younger person to appear prematurely aged. Use of alcohol, smoking and poor diet all accelerate the signs of aging. 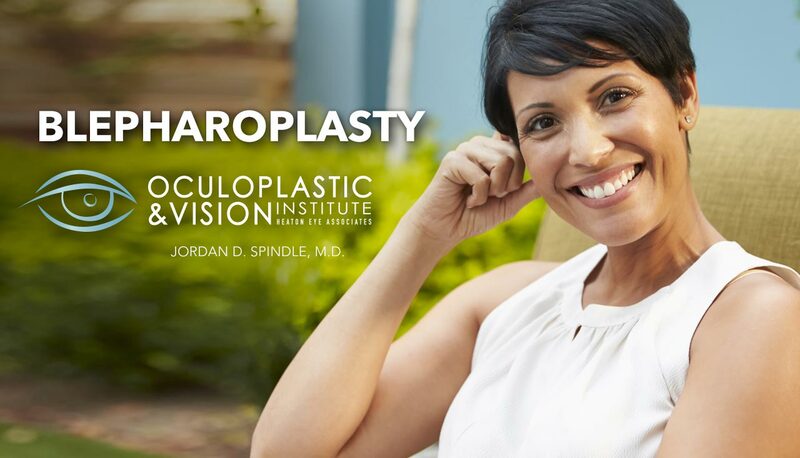 Due to major advances in an eyelid rejuvenation procedure called blepharoplasty, your doctor can help restore a more youthful, alert and healthy look to your eyes. Sometimes referred to as a “mini-face lift”, blepharoplasty has become one of the most popular cosmetic procedures for both men and women because of its high level of patient satisfaction. Blepharoplasty can be performed on both the upper and lower eyelids. Upper Blepharoplasty (eyelid lift) – Removes extra skin above the eyelid to achieve a more youthful look, and often improves vision. Dr. Spindle takes a conservative approach, ensuring you achieve a natural appearance and can close your eyes properly. Lower Blepharoplasty (eye bags) – Can effectively and permanently eliminate under eye puffiness for a more awake, youthful appearance.